Exchange Semester Experiences - Words Matter. I’m a second year student in English Literature and Linguistics at Malmö University, and I spent this semester (Spring 2016) at York St John. My main objective was to take practical modules, so I can get some more experience in the field of publishing. I ended up choosing “Publishing, Production and Performance” (PPP) and “Literature at Work”, which proved to be the best combination of modules. I took part of two amazing projects, the goal of which was to put together and print out pamphlets. The aim of the Text & Contexts project in the Literature at Work module was to produce an anthology from some of the excellent work of Level 3 students in the English Literature programme. It was exiting to have the opportunity to read through their critical essays. 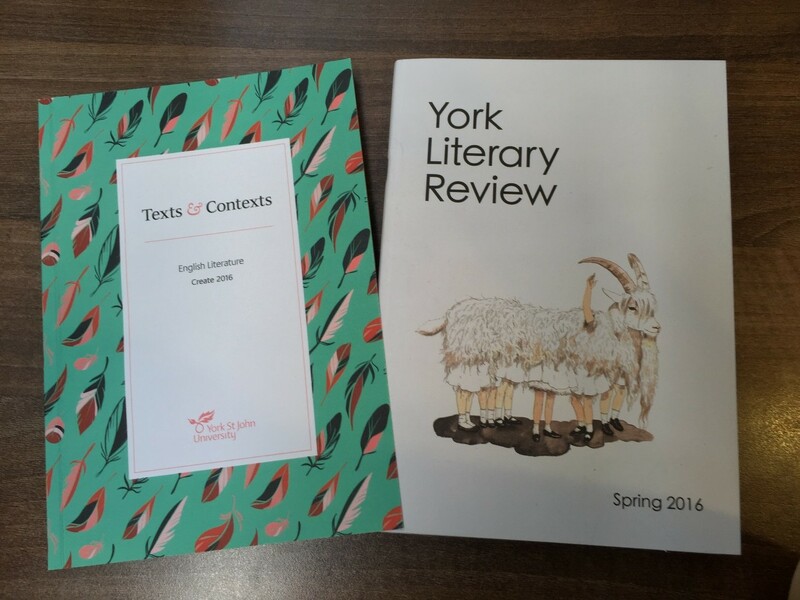 The PPP project’s objective was to publish the first ever York Literary Review – a journal of new writing. This project took most of my time this semester, because our team had to read through over 700 submissions of poetry, fiction and non-fiction coming from all over the world for our first issue. I think that the PPP project especially provided me great insight into the life of an editor and the amount of work one has to go through. I worked very hard on both projects, but it was worth it in the end when I got the two finished pamphlets in my hands and could see my name on them. I’m so proud of my team and myself for putting together these amazing publications. I have already put them in my CV, and I believe the experience I’ve got from these two university modules is as good as doing a placement. Studying and living in York proved to be a truly lovely experience. The university is filled with life, creativity, and amazing people. I would definitely recommend it to anyone who wants to get an immersive experience of York – the best small city in Britain – and York St John University.